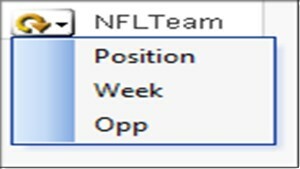 By definition in Qlikview Help: Sometimes you may find it useful to group fields which do not form a natural hierarchy, enabling the user to make quick changes to the data to be displayed in the chart or list box. You can group any fields together in a cyclic group. 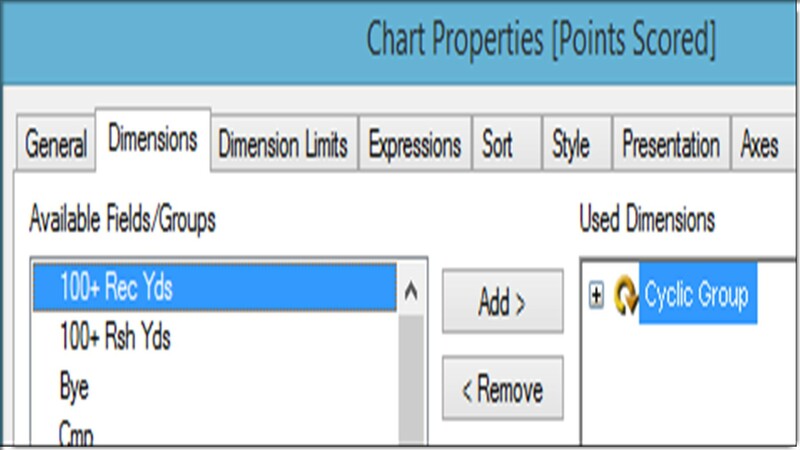 By using a cyclic dimension group in a chart, the chart will initially use the first field in the list. The user can switch to another field by clicking the cycle icon in the chart. The fields are displayed in the order in which they appear in the group’s field list. 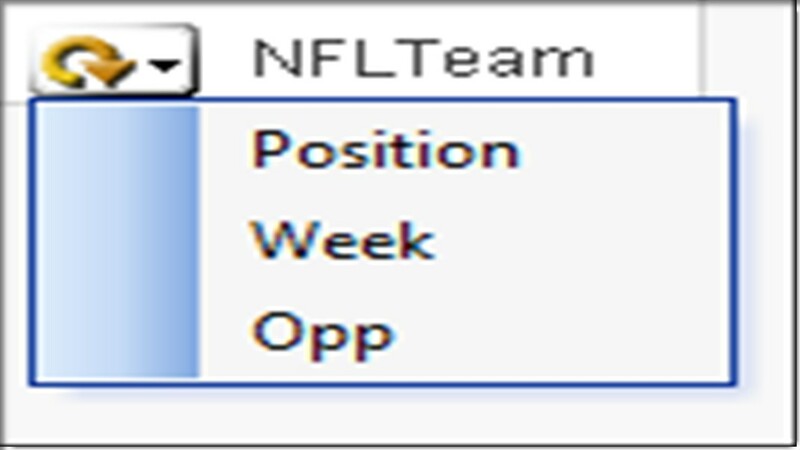 When the last field in the list has been used, the turn goes back to the first field again. In this way the chart may cycle through the fields indefinitely. 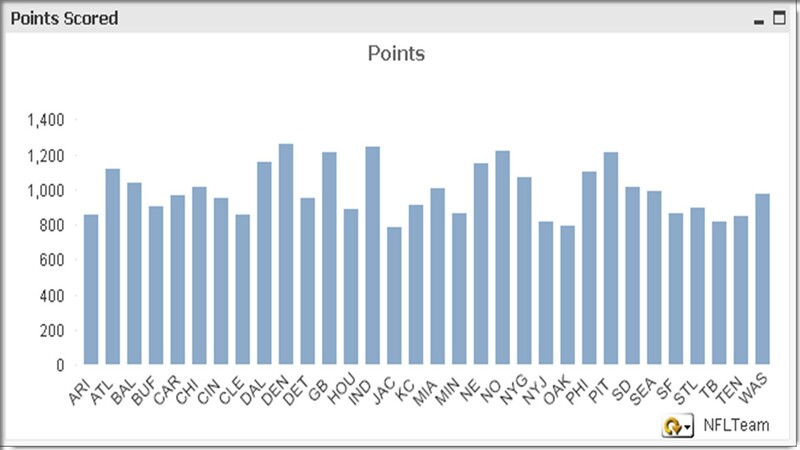 Using Qlikview Cyclic Dimension Groups is helpful because it allows you to cycle through two or more dimensions (fields) in a chart, displaying the same expression total, instead of setting up a separate chart for each specific dimension. I will walk you through an example. 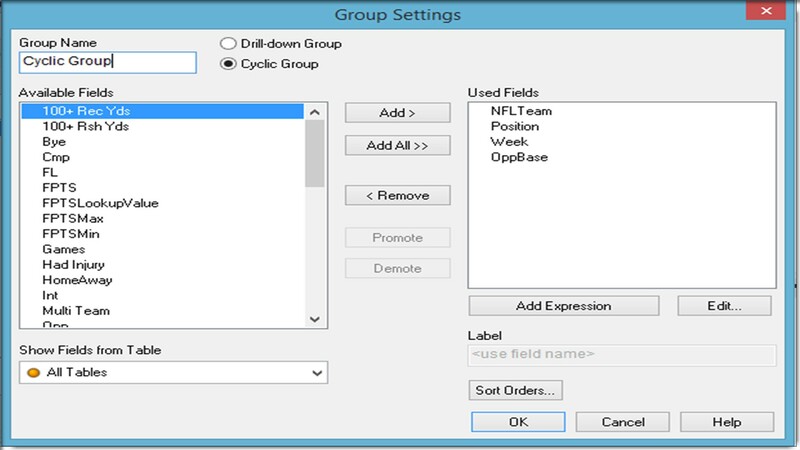 Make sure you select “Cyclic Group” in the top section (radio button). 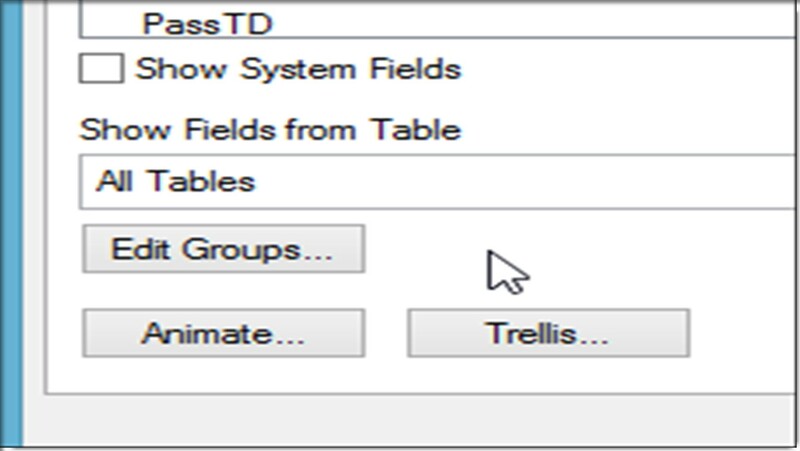 Type in a name for your group, then select the fields you would like to include in your Cyclic Dimension Group. In my example, I picked the four fields above. Click “Apply”, then “OK” and check out your chart. Now, you can see a “cycle” icon in the bottom right corner of the chart. This allows you to cycle through different dimensions within the same chart. To view the “SUM” of points by Position, click on the cycle icon until you get to “Position”, or click the little down arrow and select “Position” from the available choices. As a result, your chart will is now based on the dimension “Position”. You have essentially four separate charts condensed into one. 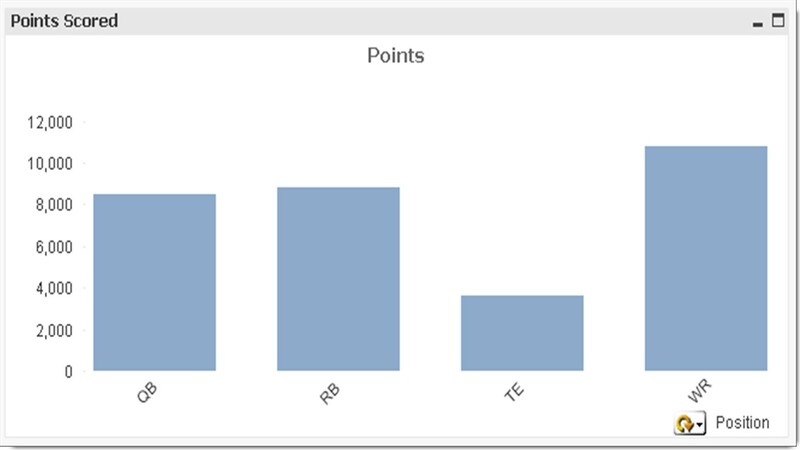 By using a Qlikview Cyclic Dimension Group, a user can determine which dimension they would like to see. 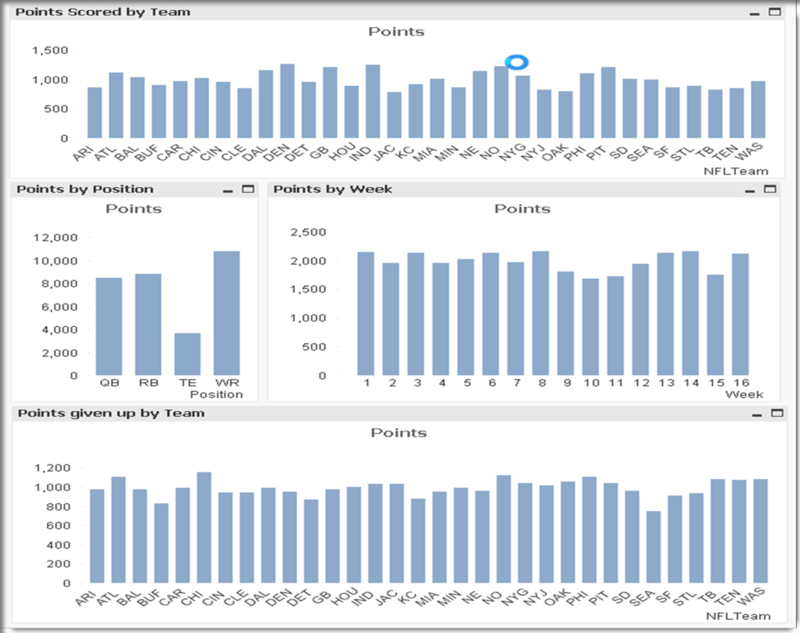 Setting up a Qlikview Cyclic Dimension Group is a simple and efficient way to optimize your space on a sheet, and gives the user control of what the would like to see in a given chart.